You have to watch this, it's mind-blowing. 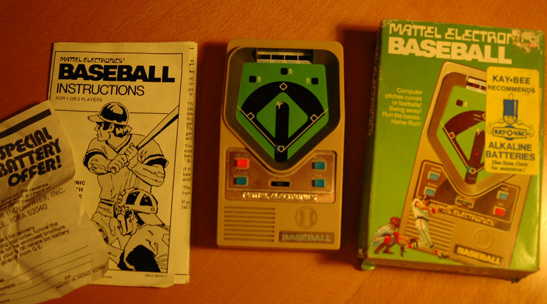 Prompted by Phil Randolph's recent blog post about his son buying an old Mattel baseball game I decided to go spend a couple of hours in the 'archive' and dig out some of the old days cool toys. Here's the first one I found. Sorry for the poor picture quality I was able to find the game but not the flash for my camera. I believe this is a 1980 unit. There's more where this came from, if you're in to these oldies stay tuned, I'll post a few more throughout the week.